I still vividly remember my first taste of BonChon Chicken. It was while we were inquiring when they were going to open their first branch in Ayala Triangle. One of the staff offered us samples of their soy garlic chicken for us to try, and we were hooked. They’ve since launched new flavors to complement their initial soy garlic and hot and spicy variants but the soy garlic remains our favorite. 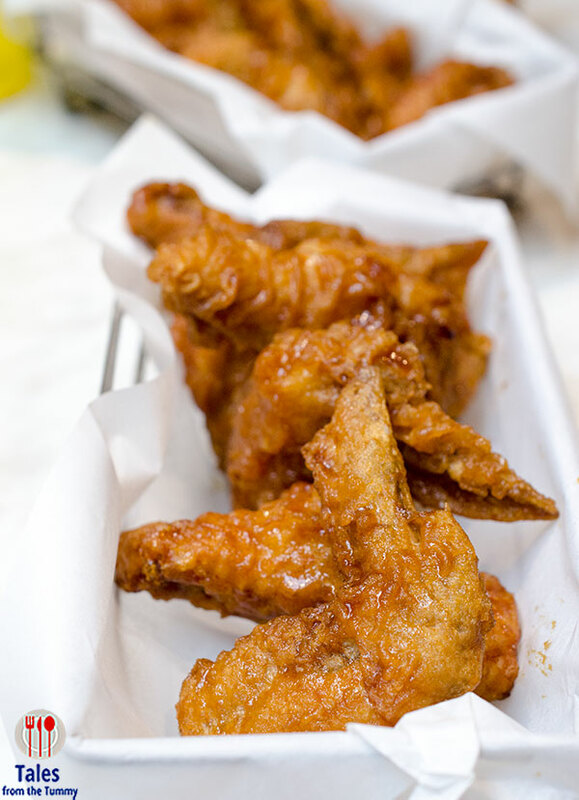 Irene and I love the Soy garlic wings, our standard order is 6 K-style wings each and 1 rice. 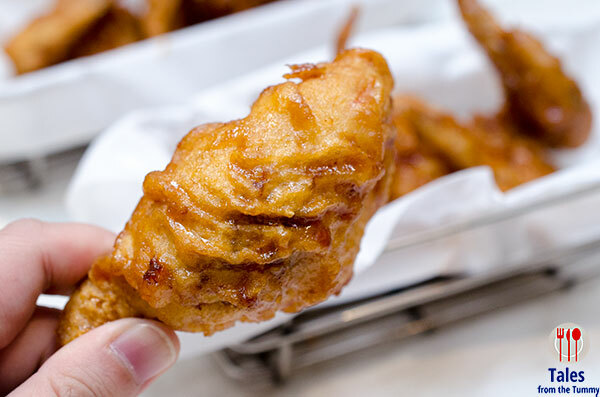 What we love about BonChon chicken is the crispy skin enveloped by a light glaze, the initial crunch rings in your ears. The balance of sweet and salty is just right, inspired by both Korean and American flavors. 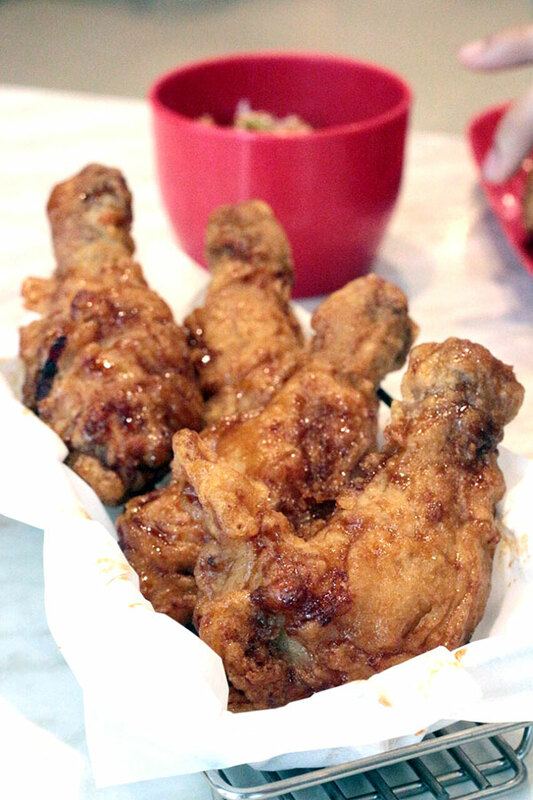 I love the fact that getting my chicken fix at BonChon is only made upon order so I get them crispy and super hot. Eating wings is a balance for Irene and me, she likes the wing part while I love the drummette part. Irene likes getting into the bones while I want my big bite of chicken meat. No fights about who gets what piece, just peaceful eating. On the other hand, Lauren loves her Chops rice box in soy garlic also, it’s her weekly Friday school lunch. Irene buys it so often that the staff at the branch already prepares once she comes through the doors, how’s that for service. 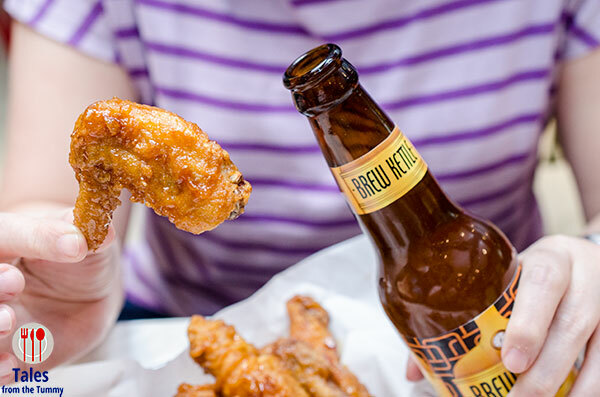 K style chicken is perfect with a bottle of beer, Brew Kettle (P55) is our choice but soda or their ever popular ice tea is a good alternative too. Be sure to watch BonChon’s new mesmerizing tv commercial. It reminded me so much of the Nanta Cooking show we watched in Korea.